Test Connections - September 2017 - Newsletter | Marvin Test Solutions, Inc.
September 2017 - NewsletterFocus OnSolution SpotlightProduct HighlightIn the NewsDid You Know? Welcome to the latest issue of Test Connections for 2017. It was great to see so many of you visit us at the defense, aerospace, and industry-specific shows and conferences we participated in over the past few weeks. Information regarding our innovative 4th and 5th Generation test systems, as well as MTEK solutions, was in high demand. In addition to our post-SDD F-35 warfighting enhancements that were displayed, we also announce the addition of three new chassis to our suite of PXI Express products. In case you weren’t able to meet with us on the road, in this issue you will learn about our MTEK (Marvin Test Expansion Kit) Series upgrade solution for legacy semiconductor ATE, and the latest addition to our comprehensive portfolio of Hellfire Missile support solutions - the MTS-8110 Hellfire Platform Simulator. There are still many chances to see us on the road as outlined in the coming events section. We hope to see you again soon! Easily extend the life of your legacy semiconductor ATE with this low-cost, PXI-based, add-on solution. Marvin Test Solutions' MTEK Series allows you to add test capability to an existing semiconductor ATE system without the capital expense of replacing the entire system. 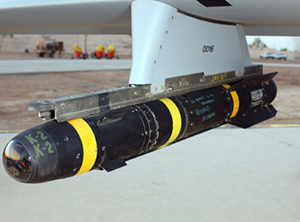 Marvin Test Solutions offers a comprehensive portfolio of products and systems to support AGM-114 Hellfire missile system test and sustainment. MTS now offers a new solution to simplify the integration of new Hellfire-compatible armament systems onto existing aircraft platforms that already use AGM-114. MTS has expanded our PXI Express (PXIe) product portfolio with the introduction of three new PXIe chassis that offer a combination of PXIe, hybrid slots, and PXI-1, allowing users to configure the ideal combination of resources for general purpose as well as high-bandwidth test applications. Want to know how you can customize an IDE for use with ATEasy? Simply testing today’s advanced semiconductor devices with yesterday’s ATE is not an option. With each new development in device technology, the test requirements can outpace the capabilities of the available test equipment. Marvin Test Solutions’ cost-effective, Marvin Test Expansion Kit (MTEK) platform provides the solution. 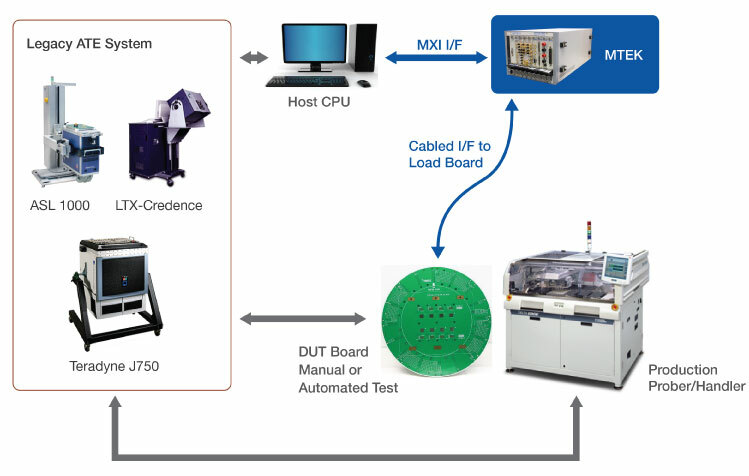 The MTEK platform breathes new life into your legacy semiconductor test systems with a PXI-based, add-on solution that easily adds capability without the expense of replacing the entire test system. 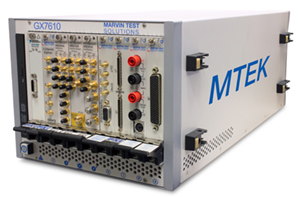 The MTEK’s open architecture can accommodate Marvin Test Solutions’ extensive line of digital test products and the full range of Keysight’s RF PXI products, as well as additional baseband instrumentation. Easy integration with test floor data collection, data analysis, etc. Part of Marvin Test Solutions’ suite of semiconductor test solutions, ideal for engineering and production applications as well as incoming inspection and failure analysis, the MTEK Series is a flexible, scalable, test system upgrade. The new MTS-8110 Hellfire Platform Simulator is designed to simulate the operation of a platform (rotary or fixed-wing aircraft, or remotely piloted aircraft) controlling a Hellfire II launcher. 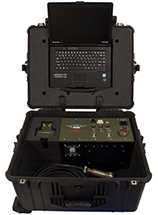 Portable, self-contained, and housed in a rugged enclosure for easy transportability, the MTS-8110 is ideal for lab environments and system integration facilities, allowing developers of Hellfire and similar systems to complete most of the system’s design, test, and verification even without access to the aircraft. Integration of new weapon systems is facilitated, without the requirement for hardware and software changes, realizing cost and time savings, and reducing program risk for these mission-critical systems. To learn more about how the new MTS-8110 can streamline integration of new Hellfire-compatible weapon systems onto existing aircraft platforms, please contact us. Like MTS’ other PXI chassis, all three support integral Smart functions including system power supply, slot temperature, and fan speed control/monitoring as well as PXI trigger mapping. The flexibility and open architecture of PXI and PXI Express make it possible to configure the right system for today’s requirements and to upgrade and add resources when new requirements emerge. The GX7205 and GX7215 are high-power chassis that are part of the GX7200 Series, and feature a 4x4 PXIe lane architecture with 21 slots, accommodating up to 20 instruments plus a single-slot controller. The GX7200 Series chassis support both external and embedded controller configurations. The GX7205 and GX7215 feature a 1400 W system power supply for high power, high performance applications and the cooling necessary to dissipate the additional heat. For applications requiring a mass interconnect interface and the means to route cables to/from the rear of the chassis, the GX7205 and GX7215 include an integrated 2U cable tray, a hinged interface assembly that accommodates all popular mass interconnect devices, optional openings at the top & bottom of chassis for cable routing, and a recessed card cage (recessed by 2.5" or 4.5") providing up to 7" of space for interface wiring. The chassis are supplied with the GxChassis software which includes a software library, driver, programming examples, a virtual panel application and documentation. The virtual panel provides a way to control, configure and display the smart chassis' features, including temperature monitoring, trigger line mapping, and power supply voltage monitoring. A 32/64-bit Windows DLL driver is provided with various interface files for accessing the DLL functions from programming tools and languages such as ATEasy, LabVIEW, C/C++, Microsoft Visual Basic®, Delphi, and more. A User's Guide provides documentation that includes instructions for installing, using and programming the chassis. Support for Linux for the chassis is provided using a separate software package - GtLinux. Our busy trade show calendar has brought us some exciting opportunities to connect with customers all over the world and learn more about the test challenges they are facing. This interaction is key to our goal of making test easy by understanding our customers’ requirements and delivering the solutions and support they need to ensure mission success. The Air National Guard Weapons and Tactics Conference (WEPTAC) brings together the ANG and industry leaders to discuss emerging trends in military technology and the current and future requirements for Guard support. Seoul ADEX is the fastest growing exhibition in the Asia-Pacific region, with a focus on defense systems, military aviation, civil aviation and MRO. International Test Conference, the cornerstone of TestWeek™ events, is the world’s premier conference dedicated to the electronic test of devices, boards and systems-covering the complete cycle from design verification, test, diagnosis, failure analysis and back to process and design improvement. The Logistics Officers Association (LOA) Symposium is the year’s premier event dedicated to enabling interactive exchanges among logistics, acquisition and technology professionals from across the Department of Defense, defense industry and academia. With a history of more than 50 years in the Defense and Commercial Aerospace industries, The Marvin Group supports all branches of the Department of Defense, military prime contractors, and allies around the globe on an array of programs and platforms. The Marvin Group includes Marvin Engineering (MEC), Marvin Test Solutions (MTS), Marvin Land Systems (MLS), and Flyer Defense. Marvin Engineering is the flagship company of the Marvin Group, providing world class machining and defense products such as bomb racks, missile rail launchers, aircraft pylons and other associated equipment. Marvin Engineering proudly serves as the Managing Partner to Lockheed Martin in support of the F-35 Alternate Mission Equipment requirements. Marvin Land Systems develops and manufactures a variety of products for ground combat vehicles including Environmental Control Systems, Auxiliary Power Units, Generators and NBC systems. MLS also provides modification and overhaul kits for tanks and tracked vehicles. Flyer Defense LLC provides specially designed and customized advanced light tactical vehicles used by special forces and ground troops worldwide.